By law, a divorce may not be finalized in California until six months have passed. If the couple files jointly, the clock starts at the time of filing. If only one spouse files, the clock starts when the other spouse is served with the divorce paperwork. In California, parties that have been married for less than five years, have limited marital property, no children and are not requesting spousal support may file for a summary dissolution. This type of divorce is faster and avoids trial. The necessary paperwork includes a Joint Petition for Summary Dissolution, Judgment of Dissolution and Notice of Entry of Judgment, and property settlement agreement. After six months have passed since the date of filing, a judge will sign the judgment and the divorce will become final. If a couple does not meet the requirements for a summary dissolution, they may still avoid trial through an uncontested divorce. The required paperwork includes a Petition for Dissolution of Marriage, Appearance, Stipulations and Waivers form, Declaration for Uncontested Dissolution, and Judgment with signed marital settlement agreement. If the couple has children, they must also include custody and support agreements, medical insurance information, Child Support Case Registry Form, and Order/Notice to Withhold Income. The uncontested divorce documents will provide a judge with basic information about the marriage and specify how the spouses have resolved issues related to property, support and children. If the judge finds the agreement to be adequate and fair, she will enter a judgment for divorce. In California, a divorce by default occurs when one spouse files for divorce but the other spouse does not respond or appear in court. In this case, the judge makes a ruling based on your petition alone. If more than 31 days has passed since your spouse was served with the petition and summons, you may request a judgment of divorce from the court. The process requires you to file a Request to Enter Default, Income and Expense Declaration, Property Declaration, Declaration for Default, Judgment, and Notice of Entry of Judgment. If you have minor children, you will also need a Child Custody and Visitation Order Attachment, Child Support Information and Order Attachment, Child Support Case Registry Form, and a Notice of Rights and Responsibilities. The divorce can be decided without a default hearing, unless you are receiving public assistance, requesting child or spousal support, or seeking an annulment. 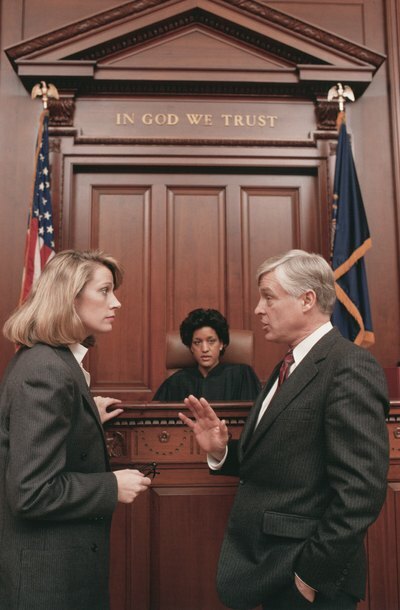 When spouses cannot reach agreement, they may proceed to trial and have the matter decided by a judge. The process starts with one spouse filing a Request for Status Conference to Set Case for Trial form after the initial paperwork has been filed. A status conference will be scheduled where the parties will discuss all outstanding issues with the judge as well as set a time period for resolving pretrial matters. Next, the couple must attend a settlement conference, which represents a final opportunity to resolve remaining issues before trial. Once the judge hears the case, he will make a ruling and sign a judgment. The divorce will be considered final at that time.